Welcome to the new Legendary Tier Crafting Guide! SEE POST BELOW FOR WILD-ONLY SETS AND CHECK OUT THIS THREAD FOR EPIC CARDS. This thread is to be a home for legendary crafting advice. 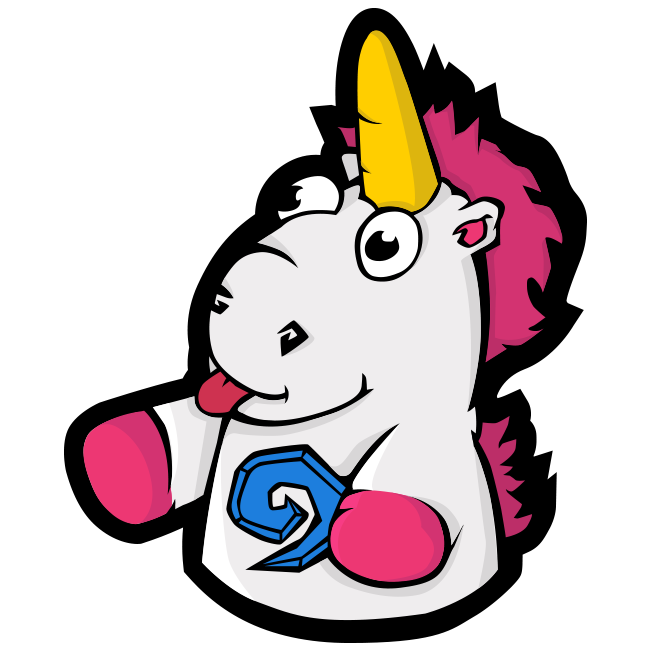 If you are not sure which legendary you should craft next, this is the place to ask! We only recommend disenchanting golden versions of legenary cards until you know you will not buy more packs from the corresponding set. Keeping even the worst legendaries will increase your chance of getting a good one next time due to the no-duplicate rule. We will try our best to stay on top of the meta-game with updates, and hope this thread can be a valuable resource for new and veteran players alike to make better decisions with your dust! Disclaimer: A tier list like this can never please everyone; the meta game is dynamic. If you think a card is in the wrong tier, please explain and provide links to deck lists or other data to support your claim. Please note that some of the cards may not yet be craftable, and are received through adventures or rewards. = Editor's choice smart crafts. Only sure things, we can certainly say; these are the kings of the meta today. Archmage Vargoth* - Strong synergies in many decks, notably token druid. Arch-Villain Rafaam* - Staple in zoolock. Blastmaster Boom* - Staple in bomb warrior decks. Keeper Stalladris* - Staple in token druid, playable in other druid decks. Dr. Boom, Mad Genius* - Staple in bomb warrior. Myra's Unstable Element* - Very strong card in tempo rogue but the deck is playable without it. Zilliax - Very versatile card, playable in several succesful decks for many classes. The Soularium* - Strong staple in zoolock. Darius Crowley* - Good card in most warrior decks. Houndmaster Shaw - Strong card in mech hunter. Bloodmage Thalnos - Strong neutral card, playable in a variety of decks. Captain Greenskin* - Strong card in Bomb warrior and Tempo rogue. Edwin VanCleef* - Staple in myracle and playable in any rogue deck. Harrison Jones* - Evergreen neutral tech card, very strong in the current meta. Leeroy Jenkins - Playable finisher in any aggressive deck. Tirion Fordring* - Staple mech paladin, playable in any slower paladin deck. A twist or an answer to take for a spin. An off-metamancer will need one to win. Archivist Elysiana* - Strong card in slower warrior decks, playable in most control decks. Chef Nomi* - Strong synergy with Myra's Unstable Element in tempo rogue but is replaceable. Commander Rhyssa* - Staple in Secret and Secret Mech paladin. Heistbaron Togwaggle* Strong synergy with EVIL Miscreant in tempo rogue but is replaceable. Kalecgos* -Staple in Khadgar dragon mage. Khadgar* - Buildaround for slower mage decks running Conjurer's Calling. Oblivitron* - Staple in mechrattle hunter. Scargil* - Staple in murloc shaman. High Priest Thekal* - Staple in several heal-heavy decks, synergy with Nozari. Zul'jin* - Strong card is several decks, notably midrange hunter. Wardruid Loti* - Good card in token druid, playable in other druid decks. Boommaster Flark - Strong card in mech hunter..
Electra Stormsurge* - Good card in Shudderwock and midrange shaman. Kangor's Endless Army* - Staple in mech deathrattle paladin. Subject 9* - Staple in secret paladin, playable in hunter and mage decks. Hagatha the Witch - Strong value card in all slower shaman decks. Al'Akir the Windlord* - Strong, flexible classic card. Alexstrasza* - Staple in several combo decks, slayable in most control decks. Malygos* - Staple in OTK Combo decks, synergy with Jepetto Joybuzz. The Black Knight - Evergreen neutral tech card. 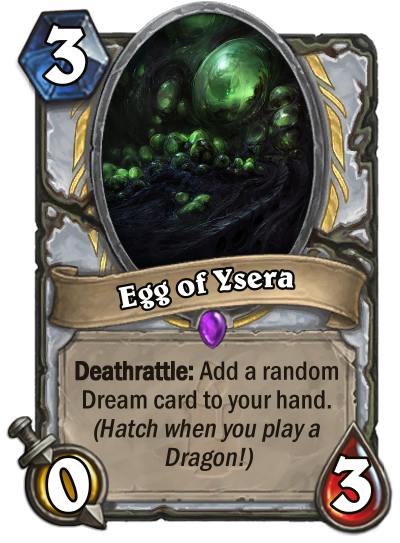 Ysera - Strong, slow neutral value card. Craft for something specific, or time to relax; but these are terrific, if you find them in packs. Barista Lynchen* - Playable in Dragon paladin and Warrior, might find new uses in the future. Catrina Muerte* - Staple in resurrect combo priest. Jepetto Joybuzz* - Staple in Malygos spell hunter, combo potential. Swampqueen Hagatha* - Interresting card playable in any shaman deck. The Boom Reaver* - Staple in Big warrior. Vereesa Windrunner* - Staple in Malygos secret hunter. Akali, the Rhino - Playable in Rush warrior. Captain Hooktusk* - Playable in slower pirate rogue decks. Gral, the Shark - Playable in tempo rogue. Halazzi, the Lynx - Playable in faster hunter decks. Jan'alai, the Dragonhawk* - Playable in Khadgar mage. Mojomaster Zihi* - Tech card vs combo decks, struggles in the standard meta. Tier 1 in Wild. Oondasta* - Synergy with Witchwood Grizzly and other big beasts in control decks. Shirvallah, the Tiger* - Playable in several heal-heavy decks, hurt by Equality nerf. War Master Voone* - Playable in dragon warrior post rotation. Crystalsmith Kangor* - Struggles to find a home after the Standard rotation. Mecha'thun* - Unique win condition, better in the Wild format. Floop's Glorious Gloop - Sees experimental play in several druid decks, low playrate. The Boomship* - Playable in slower warrior decks, decent winrate. The Storm Bringer* - Playable in murloc shaman. Whizbang the Wonderful - Mediocre winrate but highly recommended for new players. Golden card value! Zerek's Cloning Gallery* - Struggles to find a home after the Standard rotation. Azalina Soulthief* - Playable in control deck but much weaker after the standard rotation. Countess Ashmore - Versatile neutral card, playable in warrior and hunter decks. Lord Godfrey* - AOE card for slower warlocks, big drop in winrate after the rotation. Shudderwock - Playable in murloc and overload shaman. Tess Greymane* - Playable in thief rogue. Baron Geddon* - Has yet to find a home after the Standard rotation. Cairne Bloodhoof* - Playable in deathrattle and midrange decks, low playrate. Cenarius* - Playable in treant and token druid. Grommash Hellscream - Playable in Rush and tempo based warrior decks. King Krush* - Has yet to find a home after the Standard rotation. Lord Jaraxxus* - Strong card in RoS handlock. Onyxia - Playable in dragon decks. Prophet Velen* - Struggles to find a home after the standard rotation. T2 in Wild. They're not influential, and their niches are small, but they might have potential, or break a tavern brawl! Lucentbark* - Staple in Juicy Psychmelon heal druid. Nozari* - Playable in Dragon paladin but very low winrate. Da Undatakah* - Greedy card with synergies in decks from several classes. Hakkar, the Soulflayer - Playable in mill decks, can have potential in the future. Hex Lord Malacrass - Weak card mainly used in Khadgar mage. High Priestess Jeklik* - Struggles to find a home after the Standard rotation. Krag'wa, the Frog - Playable in aggro shaman. Princess Talanji - Struggles to find a home after the Standard rotation. Zentimo - Niche pick for agressive shaman decks. Flark's Boom-Zooka* - Niche pick for mechrattle hunter. Flobbidinous Floop* - Struggles to find a home but has combo potential. Luna's Pocket Galaxy - Struggles to find a home after the Standard rotation. Myra Rotspring - Playable in and deathrattle rogue. Archmage Arugal - Struggles to find a home after the standard rotation. Dollmaster Dorian - Effect difficult to make good use of, even in deathrattle decks. Glinda Crowskin - Niche tech in Magic Carpet zoolock. Lady in White - Playable in silence priest, low winrate. Prince Liam* - Struggle to find a home after the Standard Rotation. Face Collector* - Playable in thief rogue. The Glass Knight* - Struggles to find a home after the Standard Rotation. Toki, Time-Tinker - Inconsistant value card for mage. Archmage Antonidas - Struggles to find a home after the Standard Rotation. Deathwing* - Playable in Big warrior. King Mukla* - Struggles to find a home after the Standard Rotation. Illidan Stormrage - Has seen play in token- and demon decks. Tinkmaster Overspark* - Has seen play as transform tech. Fel Lord Betrug* - Staple in weak Plot Twist warlocks, T4 in Wild. Madame Lazul* - Weak card tried in several priest decks. Tak Nozwhisker* - Playable in Thief and Pogo-Hopper rogue, very low winrate. Bwonsamdi, the Dead* - Synergy with Spirit of the Dead, very low play and winrate. Gonk, the Raptor - Gonk OTK decks are not viable. Griftah* - Unreliable meme card, very low winrate. Hir'eek, the Bat - Sees experimental play in handbuff zoo, very low winrate. Dr. Morrigan - Meme card, effect difficult to make use of. Harbinger Celestia - Situational tech card vs. deck that skip earlygame minions. Zerek, Master Cloner - Effect slow and difficult to make use of, low winrate. Blackhowl Gunspire - Meme card, effect difficult to abuse. Chameleos - Very weak and unreliable card. Duskfallen Aviana - Enables some big plays...for your opponent. Emeriss* - Slow card, useless in current hunter decks. Splintergraft - Interresting, slow effect, playable in defensive druid decks. Hogger - Weak to AOE, has seen play in token decks and control warrior. Lorewalker Cho - Meme card, needed for the longest hearthstone turn ever. Millhouse Manastorm* - A liability. Nat Pagle - Outclassed by Novice Engineer. The Beast - A liability. If you are a new player looking for a quick way to improve your collection, here is a list of powerful neutral commons and rares which fit in many decks. For epics, please consult the dedicated thread. For details on how Standard will rotate, check out this thread! Thanks SnoderFaner, LightBrain, Tad30s, Skyi101, Cogito_Ergo_Sum, linkblade91, ShadowsOfSense, Th3D4rkL0rd, Otovent, FrostyFeetEU, Fluxflashor and all posters who make suggestions in this thread to keep it updated! Special thanks to Chimera for images and formatting. Wild only Sets and the best Standard crafts for Wild. High Priest Thekal - Strong synergy with Molten Giant. 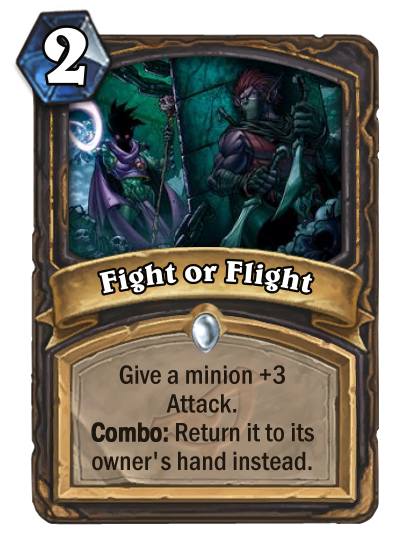 Mojomaster Zihi - Tech card vs ramp and combo decks, often played in even decks. Myra's Unstable Element - Strong card in pirate and odd rogue. Zilliax - Very versatile card in both formats. Captain Greenskin* - Good card in odd-rogue and playable in weapon buff and pirate decks. Aluneth* - Staple in agressive mage decks, notably secret mage. Kingsbane - Good card in aggro pirate rogue, playable in odd rogue. Bloodreaver Gul'dan - Staple in any warlock deck except fast zoo. The Lich King - Playable in any midrange and control deck. Sunkeeper Tarim - Staple in any paladin deck with one oddvious exception. Aya Blackpaw - Staple in jade and most shaman decks. Patches the Pirate - Staple in odd rogue and pirate warrior. Y'Shaarj, Rage Unbound* - Staple in Darkest Hour warlock, big priest and big rogue. Barnes - Staple in big priest, synergy with Deathrattle minions and Y'Shaarj, Rage Unbound. Sir Finley Mrrgglton - Staple in aggressive- and murloc decks. Dr. Boom - Staple in odd rogue and odd paladin, versatile curve filler. Loatheb - Strong, flexible neutral tech card. Baku the Mooneater - Staple in odd decks for paladin, warrior, mage, hunter and rogue. Genn Greymane - Staple in even decks, especially shaman and warlock. Old Murk-Eye - Staple in murloc decks, very good winrate. Catrina Muerte * - Playable in Big Priest. Commander Rhyssa* - Good winrate, strong synergy with Avenge. Keeper Stalladris* - Staple in token druid. Scargil* - Benefits from very strong murloc synergies in the format. Zul'jin* - Strong card in Spell hunter. Kangor's Endless Army* - Staple in mech paladin. Mecha'thun* - Win condition in warlock, druid and priest decks. Stargazer Luna* - Staple in odd, tempo and murloc mage, good winrate. Subject 9* - Playable in secret heavy mage and hunter decks. The Soularium* - Good card in strong zoo decks, but can be replaced. Lord Godfrey - Strong AOE card for slower warlocks. Prince Liam - Lategame option in odd paladin. Kathrena Winterwisp - Staple in recruit and deathrattle hunter. Rin, the First Disciple - Anti-control tech slower warlock decks. Skull of the Man'ari - Staple in cubelock, playable in control warlock. Zola the Gorgon - Playable in several different decks from many classes, notably highlander ones. Deathstalker Rexxar* - Staple in any slower hunter decks, and playable in the rest. Malfurion the Pestilent* - Staple in any Wild druid deck. Prince Taldaram* - Often played in cubelock but can be replaced. 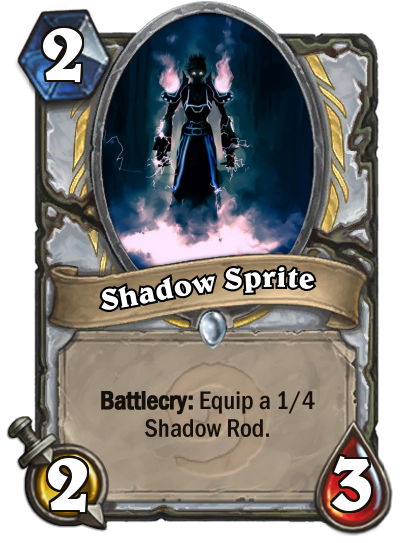 Shadowreaper Anduin* - Staple in Raza priest, playable in any priest deck. Hemet, Jungle Hunter - Staple in Mecha'thun warlock, playable in several decks. Kalimos, Primal Lord* - Good card in Elemental Even, Elemental and Shudderwock shaman. Spiritsinger Umbra - Played in cubelock and deathrattle decks. Unite the Murlocs* - Has a decent winrate and got a lot of support in RoS. Finja, the Flying Star - Staple in Murloc paladin, very strong winrate. Kazakus - Staple in highlander decks. N'Zoth, the Corruptor - Staple in cube and renolock, playable in slower decks with deathrattle synergy. Brann Bronzebeard - Strong synergy with Kazakus. Reno Jackson - Playable in Warlock, Mage, Priest decks, and sees experimental play in all classes. Emperor Thaurissan - Tech option in cube warlock, staple in several combo decks. Mal'Ganis - Staple in any slower warlock deck. Kel'Thuzad - Staple in Big rogue, playable in heavy control decks. Arch-Villain Rafaam* - Playable in Darkest Hour warlock. Dragoncaller Alanna - Win condition in big spell mage, sees very little play. King Togwaggle - Staple in miracle mill druid. Master Oakheart - Staple in Wall priest and taunt druid. Sonya Shadowdancer* - Playable in Big Rogue, staple in quest rogue which sees little play. Val'anyr - Playable in even paladin. Frost Lich Jaina - Staple in any slower non-combo mage deck. Prince Keleseth - Buildaround card in many decks, notably tempo rogue and zoo. Uther of the Ebon Blade - Staple in OTKDK Holy Wrath paladin. Awaken the Makers* - Quest priest has interresting options in Wild but is not a powerhouse deck. Lyra the Sunshard - Playable in clone and resurrect priest. Pyros* - Staple in elemental mage, playable in control mage, good winrate. Krul the Unshackled - Playable in demon decks. Kun the Forgotten King - Staple in Aviana combo decks, playable in all slower druid decks. Raza the Chained - Nerfed hard, sees some play in reno decks. White Eyes - Decent deathrattle synergy for slow shaman decks. Wickerflame Burnbristle - Defensive card for paladin, synergy with Corpsetaker. Medivh, the Guardian - Playable control decks with heavy spells, especially Reno mage. Fandral Staghelm - Playable in any druid deck. Skycap'n Kragg - Playable in pirate decks, good winrate. Sneed's Old Shredder - Playable in Deathrattle decks. Geosculptor Yip - Playable a in recruit and even warrior. Grumble, Worldshaker - Synergy with Shudderwock, low playrate after nerfs. Ixlid, Fungal Lord - Druid has generally low winrates after the nerfs. Rhok'delar - Playable in spell hunter, sees very little play in higher levels. Twig of the World Tree - Sees very little play but has combo potential. Woecleaver - Staple in recruit warrior which is not a strong archetype. Archbishop Benedictus - Playable in quest priest. Hadronox - Staple in Taunt druid decks with low playrates currently. Professor Putricide* - Playable in Secret hunter, low playrate. Rotface - Unreliable, but sees some play in whirlwind and recruit decks. Sindragosa* - Slow value card, sees little play. Thrall, Deathseer - Sees very little play but might have potential! Valeera the Hollow - Staple in Quest and Malygos rogue. Elise the Trailblazer - Good value card in odd warrior and big spell mage. Fire Plume's Heart - Quest warrior sees very little play but might have potential. Open the Waygate* - Sees play, but exodia combos are playable without it. Swamp King Dred - Surprise tech in heavy hunter decks. Synergy with Kathrena Winterwisp. The Caverns Below - Sees limited play but has some good support cards. Auctionmaster Beardo - Staple in OTK DK paladin, low winrate. Genzo, the Shark - Sees little play, playable in aggro druid. Don Han'Cho - Slow card for handbuff decks. Inkmaster Solia - Has seen some play in control mage. Shaku, the Collector - Playable in odd, burgle and tempo rogue, but there are better options. Wrathion - Playable in dragon decks, decent winrate but low playrate. The Curator - Unfortuntely too weak for a 7 drop, even in Wild dragon and Malygos decks. Anomalus - Has seen some play in control mage. Deathwing, Dragonlord - Playable in heavy dragon- and Deathrattle decks. Princess Huhuran - Has seen some play in Deathrattle hunter. Ragnaros, Lightlord - Playable in slower paladin decks, struggles in this metagame. Soggoth the Slitherer - Low playrate, has seen some play in heavy Taunt decks. Yogg-Saron, Hope's End - Unreliable last resort in spell heavy decks. Elise Starseeker - Outdated tech card for control decks. Anub'arak - Has seen play in heavy Deathrattle rogue. Aviana - Synergy with Kun the Forgotten King, but hit hard by nerf. Chillmaw - Playable in dragon- and Deathrattle decks. Confessor Paletress - Struggles to find a new home after nerf to Raza the Chained. Dreadscale - Playable in Reno Jackson deathrattle hunter. Justicar Trueheart - Struggles to find a home after the introduction of Baku the Mooneater. Nexus-Champion Saraad - Struggles to find a new home after nerf to Raza the Chained. Varian Wrynn - Playable in tempo warrior, low winrate. The Mistcaller - Understatted, slow card. Chromaggus - Niche pick for dragon decks. Gahz'rilla - Played in experimental OTK and recruit decks. Iron Juggernaut* - Playable in Bomb warrior but low winrate. Neptulon - Playable in Murloc shaman but outclassed by other murloc generators. Toshley - Tech option in tempo mage and razakus spell priest decks. Vol'jin - Tech option in any priest deck, especially Spiteful Summoner ones. Baron Rivendare - Playable in Deathrattle decks, notably hunter and rogue. Dragon Soul - Effect difficult to trigger. Lynessa Sunsorrow - Effect difficult to make use good of and easy to counter. Marin the Fox - Understatted meme card. Temporus - Meme card, very difficult to play safely. 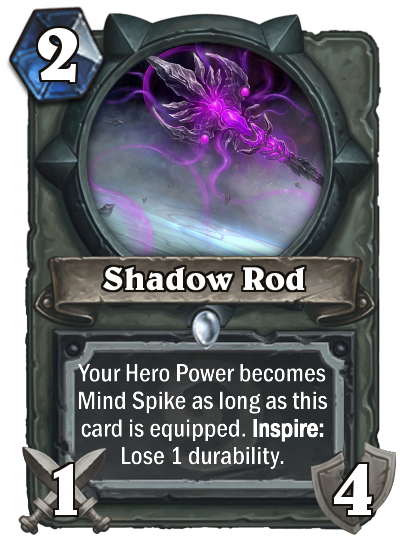 The Darkness - Slow card, effect difficult to trigger, possible tech against highlander decks. The Runespear* - Inconsistant card which sees very little play. Arfus - Understatted, a niche card in deathrattle hunter. Blood-Queen Lana'thel - Playable in discolock, very low winrate. Bolvar, Fireblood - Synergy card which sees very little play, low winrate. Lilian Voss - Unreliable in rogue decks, low winrates. Moorabi - Meme card, shaman lacks Freeze synergy. Prince Valanar - Sees very little play, does anyone know a use for this card? Scourgelord Garrosh* - Sees very little play and has bad winrates. Clutchmother Zavas - Staple in discolock, very low winrates. Hogger, Doom of Elwynn* - Sees very little play, has meme potential in Warrior. Jungle Giants - Quest druid is a niche deck. Druid has a generally low winrate after the nerfs. King Mosh - Surprise tech in Odd control and quest warrior, very low playrate. Lakkari Sacrifice - Quest warlock has a low winrate. Ozruk - Outclassed in elemental decks. The Last Kaleidosaur - Quest paladin has a low winrate. The Marsh Queen - Quest hunter has a low winrate. The Voraxx - Effect hard to trigger, see quest paladin. Tyrantus - Niche card for Druid, has a low winrates after the nerfs. Hobart Grapplehammer - Tech option for pirate warrior, very low winrate. Knuckles - Playable in midrange hunter, very low play and winrate. Madam Goya - Meme card, played in big shaman. Mayor Noggenfogger - Meme card, works like Ogre Brute, not Misdirection. Sergeant Sally - Understatted and effect difficult to trigger, playable in handbuff decks. Moroes - Understatted, outclassed in token decks. Prince Malchezaar - Meme card, dilutes your deck. Cho'gall* - Sees very little play, synergy with Violet Illusionist. C'Thun - C'thun decks have low winrates in the current meta. Twin Emperor Vek'lor - Staple in C'thun decks, see C'Thun. Herald Volazj - Very situational card, enables OTK combos in some Tavern Brawls. Malkorok - Sees little play, low winrate in tempo warrior decks. Mukla, Tyrant of the Vale - Replaced by Banana Buffoon. Nat, the Darkfisher - A liability, outclassed in mill decks. Shifter Zerus - Meme card, very inconsistent. The Boogeymonster - Outclassed by Eldritch Horror. Xaril, Poisoned Mind - Outclassed in a crowded 4-slot for rogue. Arch-Thief Rafaam* - Slow card. Acidmaw - Understatted very situational card. Bolf Ramshield - Attack face to kill this guy. Eadric the Pure* - Situational card, overcosted and replaced by Shrink Ray. Eydis Darkbane - Effect difficult to trigger, outclassed in mech mage. Fjola Lightbane - Effect difficult to trigger. Icehowl - Slow card, outclassed in Silence priest and astral druid. Rhonin* - Slow card, sees very little play, low winrate. The Skeleton Knight - Sees very little play, low winrate. Wilfred Fizzlebang - Understatted, effect difficult to trigger. Nefarian - Playable in dragon decks, low winrate. Rend Blackhand - Very situational card. Majordomo Executus - A liability, meme card, synergy with Coldarra Drake. Blingtron 3000 - Unreliable card, synergy with Twig of the World Tree. Bolvar Fordragon - Slow card, effect difficult to trigger. Flame Leviathan - Unreliable card, not playable in mech mage. Gazlowe - Effect difficult to trigger, outclassed in mech decks. Hemet Nesingwary - Extremely situational tech card. Malorne - Slow card, outclassed by powercreep. Mekgineer Thermaplugg - Slow card, effect difficult to trigger. Mimiron's Head - Meme card, playable in experimental quest mage decks. Mogor the Ogre - Very unreliable card. Trade Prince Gallywix* - Slow card which sees very little play. Troggzor the Earthinator* - Sees very little play and is outclassed as a 7-drop. Maexxna - Outclassed by cheaper Poisonous beasts. Elite Tauren Chieftain - Often a liability, meme card. Gelbin Mekkatorque - Often a liability, meme card. All rotated standard cards placed in Wild. Mal'Ganis Tier 1 to 2. Added expected Wild tiers for the top 3 tiers of rotating sets. The Glass Knight Tier 4 to 3. Gonk, the Raptor Tier 4 to 3. Rastakhan's Rumble is included in the Tier List. Flark's Boom-Zooka Tier 3 to 4. We won't buy you packs, it's a matter of trust, but this is the place, if you're desperate for dust. "Once in a blue moon, they'll make someone shiver, like a trogg and a true Goon, they fail to deliver." Countess Ashmore To tier 2. Bolvar, Fireblood tier 3 to 4. White Eyes from tier 2 to tier 3. Jungle Giants from tier 5 to tier 4. Malkorok from tier 3 to tier 4. Marin the Fox into tier 4. Jungle Giants from tier 4 to tier 5. Knuckles from tier 3 to tier 4. Awaken the Makers from tier 3 to tier 4. Deathstalker Rexxar from tier 2 to tier 3. Deathstalker Rexxar from tier 3 to tier 2. Spiritsinger Umbra from tier 4 to tier 3. Spiritsinger Umbra from tier 3 to tier 2. Nice update! Thanks a lot! I do hope that it is as useful as it is pretty! Thank you! This guide is very helpful. Also, Prince Malchezaar is probably one of the most powerful cards out there for newer players, as in rank 25, whomever gets their The Lich King or "OP" Legendary out first wins. First of all, really pretty list to look at. The Mod hat is working out for you. Uther of the Ebon Blade should be dropped to Niche. He is completely outclassed by Tirion and Justicar. The Playable and Niche section should have a disclaimer that their ranking might change in the future if enough support is released from other sets. Or there should be a tier 3.5 for them. C'Thun should be clarified to be a relatively cheap slow / tempo deck. Other than that, this is a very helpful and detailed list. Mayor Noggenfogger and Nozdormu are actually quite good as tech cards against Exodia Mage and Late-Game Priest Decks! and anti-Lifecoachness. Disclaimer: A tierlist like this can never please everyone, and the meta game is dynamic. If you think a card is in the wrong tier, please explain why, and provide links to successful deck lists, win- or playrates to support your claim. This thread should mainly be about crafting advice. Yeey, I finally know what to put in my meme deck now, lol. Great list very helpful for newbies and veterans. 1) First off, bravo, you and everyone else participating here have made a wonderful job at structuring, giving a nice /clean/ and accurate info, making the list visually good and lastly including a small game for us enthusiasts - the rhymes. - This is a very friendly legendary crafting guide for newcomers. - White Eyes - with my whole respect to control shaman decks (and N'Zoth in this case) I don't think this legendary deserves such a high place in this list .... for now. It's not about the ability, nor the synergy, but how (un)popular slow shaman decks are in standard atm. Please feel free to make a counter argument (like in the other points too) by showing me the right statistics you have taken into consideration and I have not. But in this link here you can see that White Eyes stays lower than Kalimos regarding popularity in standard (2.0% vs 5.1% in all decks). This doesn't mean, that Kalimos should replace White eyes in your current tier list, but I think that white eyes should fall back to tier 3. You can also make it clear, that slow shaman decks are stronger in wild and thus you put this legendary so high, as the statistics here show (6.0%), but the win-rate is still lower than the Primal lord's. - Lyra the Sunshard - I personally would make a tier 1.1 section or just put her in the tier 1 spot. While I won't argue with the current meta and the popularity of Highlander priest, as well as the legendaries and their current win-rate, which didn't saw that much play before KoFT (Raza, Velen, even Kazakus), I still think that Lyra is a much safer craft than some of them a) she won't rotate out of standard that soon b) she is more flexible. 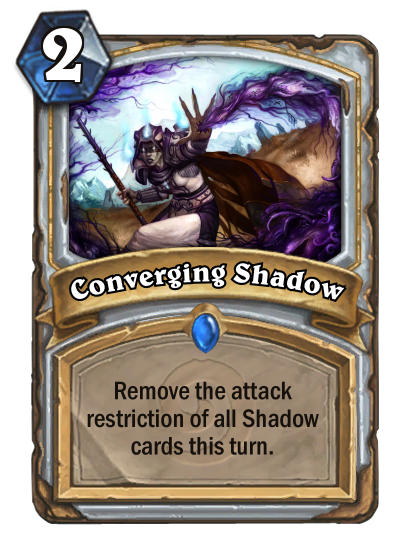 I can't support my words with any statistics from previous metas, but I think that reminding us how Lyra was in almost every single priest deck back in Un'goro, while the Kazakus package was considered a weak inclusion, Velen didn't pop up at all (only is some meme combo decks, which I wasn't a witness of), it's saying a lot. A small statistic and for wild too. - Medivh, the Guardian - while I won't argue with his ordering in the tier list, I think it's worth noting, that he was widely used in control priests and control warlock too. - Arfus - lastly, I would put him in the trash list. Dunno where to look for the right statistics, but I'm just calling it - slow, weak, unpredictable and absolutely devastating in this meta (Potion of Madness and the popularity of priest). -Lyra the Sunshard was discussed a lot, but was found too easily replaceable, and has a too low winrate to be tier 1 in the end. -Arfus is not tier 5 simply because he is played a lot. He can be bumped down as more people give up on him, as his text should reflect. Considering your case. I would recommend either Bloodreaver or Leeroy. Cairne is only good in some specific decks, and only when the meta fits it. 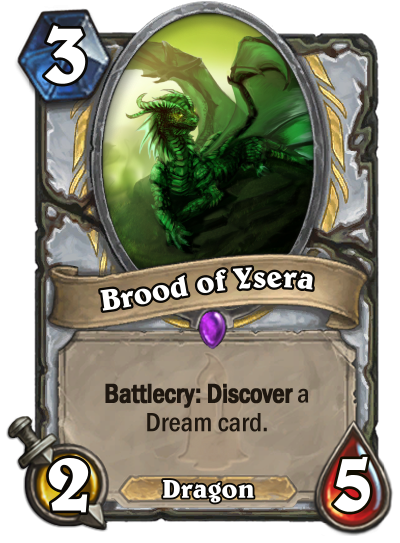 However Leeroy will always be useful in Aggro decks, and Bloodreaver will probaly only get stronger as more cards enter the pool. Also Cairne and Leeroy are not really mandatory in Keleseth rogue, whereas Bloodreaver is amazing is just about every single Warlock deck. So that would be my recommendation. Cairne Bloodhoof 1->2: It's a solid card, sure. But it's not as impactful nor important to top decks as the other staples mentioned in the tier. 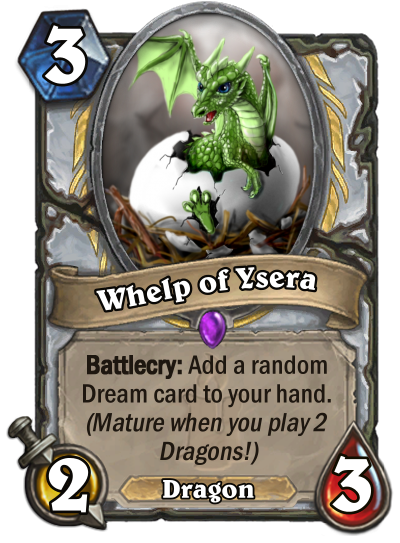 Ysera 2->3: It's not really a tech, and even though it's not as good as it used to be because of how easy it is to remove nowadays, it's just playable, nothing more. Knuckles 3->4 or even 5: It's just a bad card that doesn't work. King Krush 5->4: Not good by any means, but is a strong finisher and has some synergy with Abominable Bowman, i think it can see some play eventually. Princess Huhuran 4->5: It's a decent card on its own, but will never see play with the cheaper deathrattle triggers released like Terrorscale Stalker and Play Dead which are way less clunky and easier to combo. Amazing job. Thanks for updating this. Only comment is that Hobart should be dropped to Tier 4 (maybe even Tier 5). I just think Tier 3 is way too high for a card that saw little play over it's lifetime. I was wondering with varian why you said it is used in tempo warrior when I can't find a list which uses her. If you have one please tell me as I have been waiting to make her work for ages! Hobart Grapplehammer is moved down to 4, as pirate warrior is not as strong after the nerfs. Public Mod Note (Chimera) : Merged with tier list. Public Mod Note (Chimera): Merged with tier list.